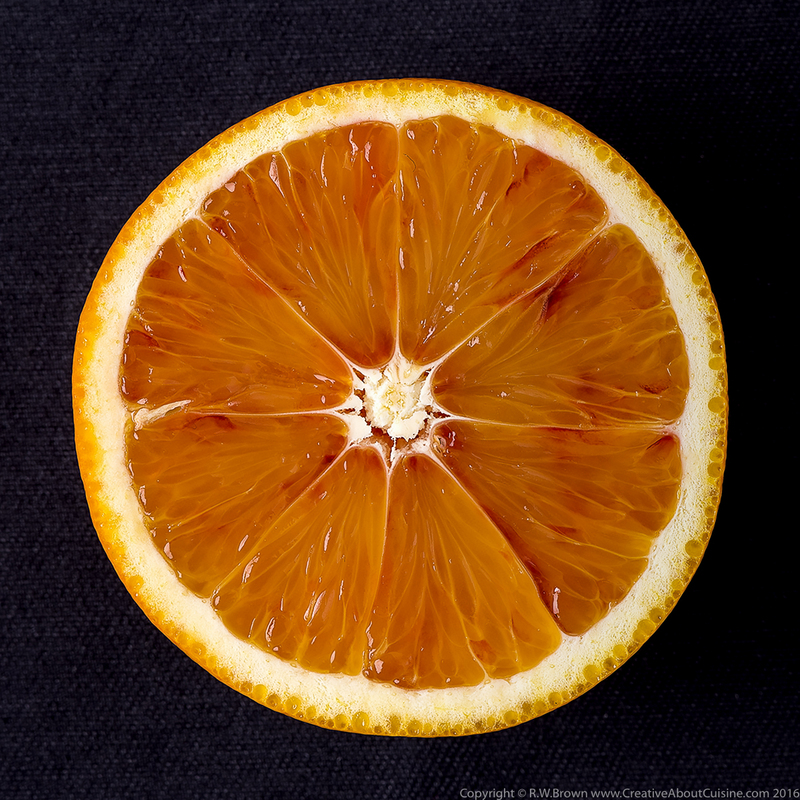 It’s getting well on into the season for blood oranges, so get them quick while you can! Sweet, punchy and aromatic, they have many uses in both sweet and savoury dishes. Classics like a Maltese sauce come to mind along with caramelised oranges, cocktails, preserves and in cheesecakes or a blood orange sponge pudding. On the savoury side, pairing them with fish is a good choice; that Maltese sauce, a hollandaise flavoured with blood orange juice, is superb or they can be used in a more of a vinaigrette style. Perhaps my favourite way of using them though is in a salad combined with slightly bitter chicory leaves. I have been making a modest effort to try and cook and eat more healthily over the past few months but I really do want food that is packed with flavour. I have no scientific basis for it but I do believe that food that is well flavoured and intrinsically satisfying to the taste buds leaves you feeling replete with the intake of fewer calories. A substantial amount of indifferent and bland food can still leave me wanting the flavour hit from a good pudding! 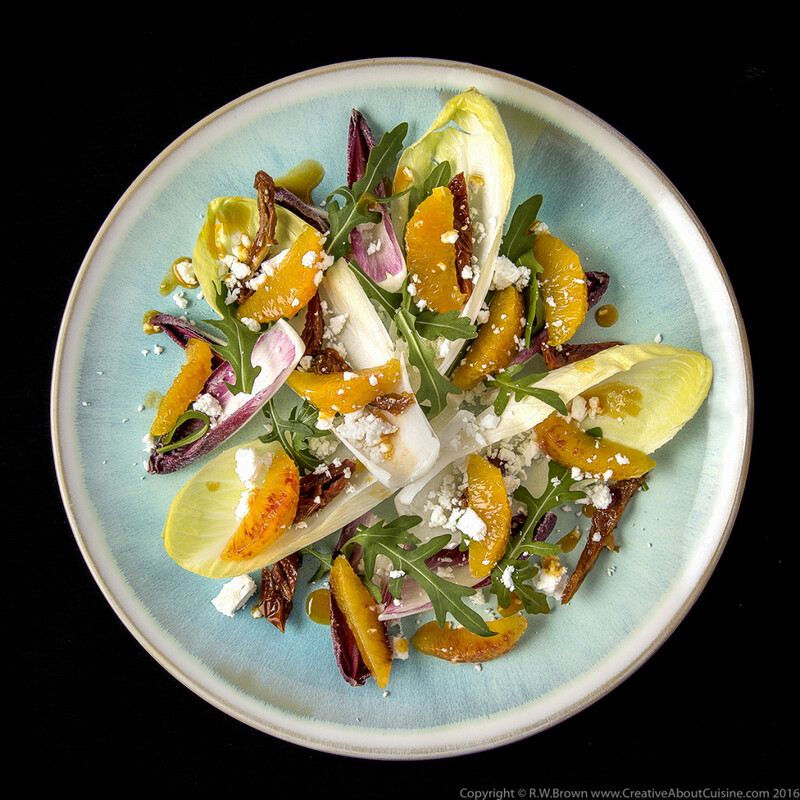 This salad certainly delivers on flavour, and using the reduced orange juice as a dressing certainly cuts down on the oil from a classic salad dressing. The same combination of ingredients with the addition of some garlic make for a good pasta dish too. Place the juice from the oranges in a small pan and reduce until it is slightly syrup. Allow to cool. 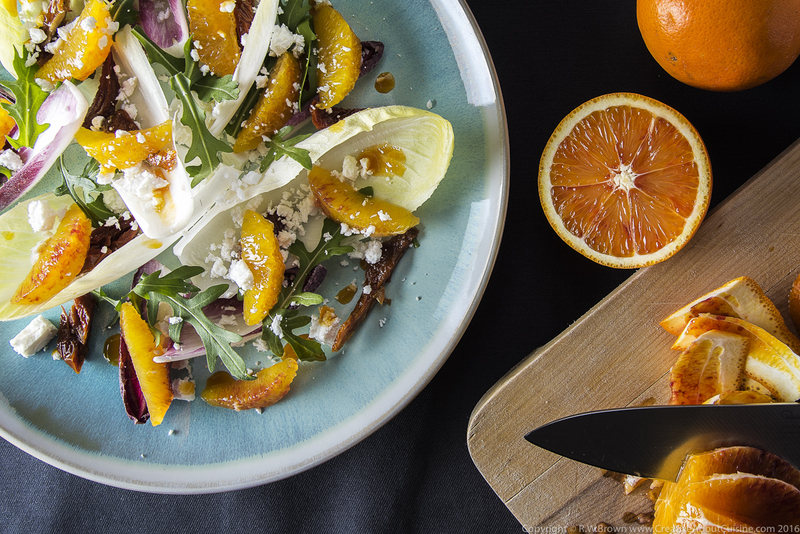 Toss the salad leaves gently with the orange segments and sundried tomato. Season with Maldon salt and fresh black pepper. Arrange in a bowl, crumble over the feta and finish by drizzling the reduced orange juice over the leaves. For a simple pasta dish with similar ingredients, heat a little oil and sweat off a couple of cloves of crushed garlic. Add the tomatoes, orange juice and half the segments. Reduce until syrupy. Add cooked spaghetti to the sauce. Finely slice the chicory and stir that in along with the remaining orange segments. Add a little of the pasta water and cook until the chicory has wilted. The rocket could also be added for a peppery finish. Season well, divide between bowls and crumble over some goats cheese instead of the feta.